It wasn’t who was thrown off Hammersmith Bridge, but what. And as it happened over a hundred years ago, you’d expect it to be long forgotten. But someone couldn’t help dredging up the past. Before we get to that however, I’ll need to tell you a little about typefaces. When books and newspapers were typeset manually, a font referred to a particular size, weight (light, bold) and style (regular, italic) of a typeface. Each letter in the typeface had its own type or ‘sort’ like those at the end of the hammers of an old-fashioned typewriter. A typeface comprised a range of fonts sharing the same overall design. The word font (traditionally spelt fount in British English) comes from Middle French founte meaning ‘something that has been melted; a casting’ and refers to the process of casting metal type at a type foundry. All this has of course been superseded by and large by digital printing, though we still refer to electronic typefaces as fonts like Calibri, Helvetica, Times Roman, and Verdana. 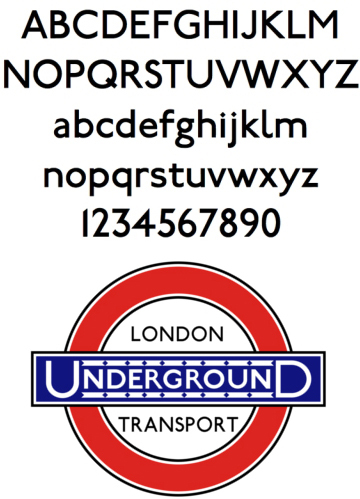 The Johnston typeface first used in 1916, and an underground roundel from the 1920s that uses the typeface. A licence is required from TfL if you want to use the font or its successor New Johnston. Some typefaces are better known than others. Johnston has been the corporate typeface of public transport in London since the foundation of the London Passenger Transport Board (LPTB) in 1933. Its use is one of the world’s longest-lasting examples of corporate branding, and it remains a copyrighted property of the LPTB’s current successor, Transport for London. Edward Johnston was commissioned in 1913 by Frank Pick, Commercial Manager of the Underground Electric Railways Company of London to design a typeface as part of his plan to strengthen the company’s corporate identity. Pick specified to Johnston that he wanted a typeface that would ensure that the Underground Group’s posters would not be mistaken for advertisements, and that it should belong ‘unmistakably to the twentieth century’. The typeface was originally called Underground, then Johnston’s Railway Type, and later simply Johnston. In 1979 the typeface was re-designed to make it more versatile and this became New Johnston. The Johnston typeface however was not available for use by anyone else. It was one of the public faces of the London Underground and no one else would be allowed to use it. One of Johnston’s students at London’s Central School of Arts and Crafts, Eric Gill, who went on to become a well established sculptor and graphic artist, had however worked on the development of the Johnston typeface. He went on to produce a new typeface, Gill Sans, that blended the influences of Johnston, classic typefaces and Roman inscriptions. The design of the new font was intended to look both cleanly modern and traditional at the same time. When it was released in 1928, it was an immediate success, with the London & North Eastern Railway (LNER) using it for its posters, timetables and publicity material. On its formation in 1963, British Railways continued to use Gills Sans. In the digital age, Gills Sans remains in widespread use, and is one of the fonts bundled with Mac and Windows software. 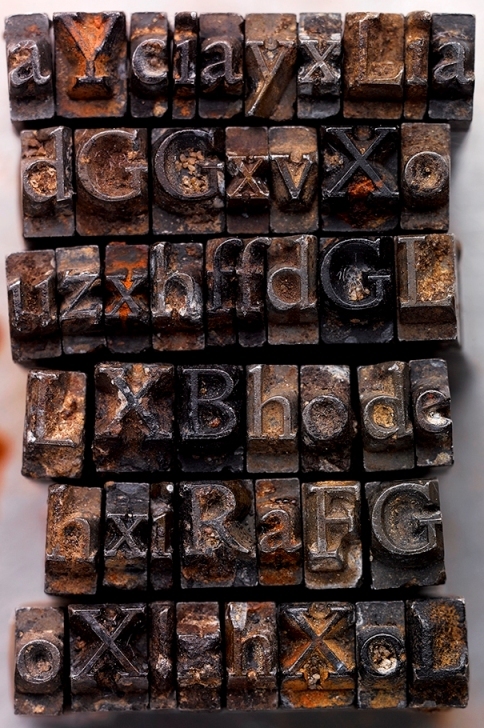 In England, type foundries, where typefaces were designed and type was cast, began in 1476, with the introduction of the printing press by William Caxton. The creation of typefaces required considerable design and typographic skills (typography is the art and technique of arranging type to make written language readable and appealing), and type designers were immensely proud of their work. In fact most people in the printing trade were characteristically proud of their work. In the early 1900s, a bitter dispute over a typeface between the two partners of a printing press led to one of the most infamous episodes in typographic history. The Doves Press was a private press based at 1 Hammersmith Terrace in west London, and was named after the Dove Tavern, an old riverside pub nearby that still stands today. The press was founded by a bookbinder Thomas James Cobden-Sanderson (who already ran the Dove Bindery on the same site), and an engraver and printer Emery Walker. 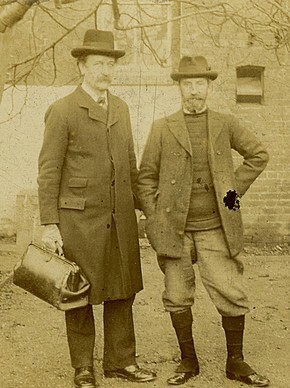 Cobden-Sanderson and Walker had been close friends of William Morris, the English textile designer, poet, novelist, and socialist activist, who had died in 1896. It was Morris’s wife, Jane, who had encouraged Cobden-Sanderson to become a bookbinder, and Walker’s expertise and his collection of 16th-century typefaces inspired Morris to create the Kelmscott Press. All three men were closely associated with the British Arts & Crafts movement. Cobden-Sanderson chose the books and had the final say in their design, and Walker managed the technical side of the business. Cobden-Sanderson had commissioned a new typeface in 1899 which was to become the Doves Type. It was crafted by master punchcutter Edward Prince, based on drawings produced by Percy Tiffin of the pioneering Venetian type created in 1470 by the French designer and engraver Nicolas Jenson. 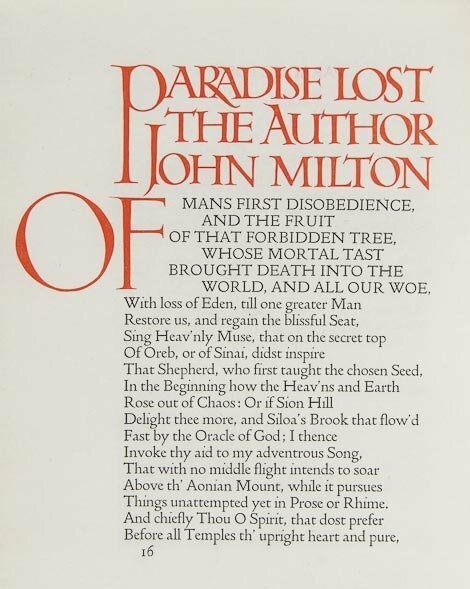 A page from John Milton’s Paradise Lost illustrating the Doves Type which was printed in two volumes by Doves Press in 1902-05. The books published by the Doves Press looked very different to most private press books of their time. 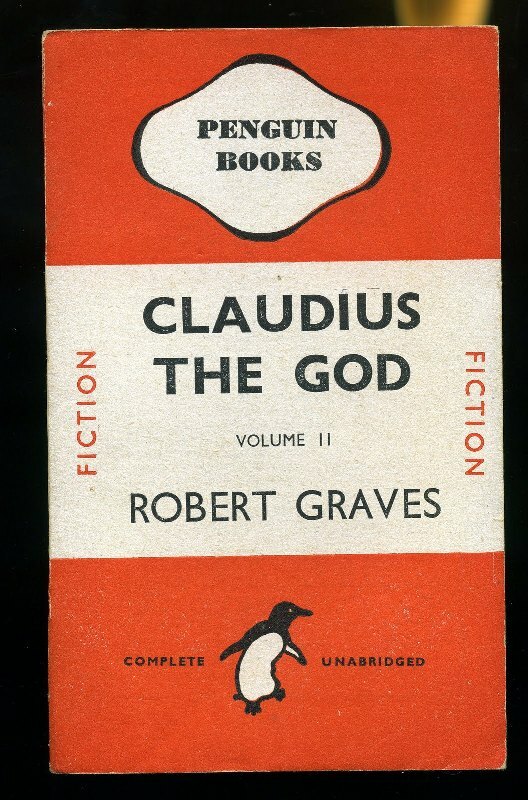 The clear typeface and the lack of decoration gave the books a very simple and austere look. The only decoration in the books were the capitals created by Edward Johnston (who was later to design the Johnston typeface described above) and ink flourishes by the calligrapher Graily Hewitt. Although most of the Doves Press books were simply bound in vellum, many of the bindings produced by the Doves bindery were very ornate and elaborate. The masterpiece of the Press was their five-volume Bible, completed in 1905. It was set by hand and printed on a hand press, with the only decoration being printed red initial letters by Johnston. But while the books were successful, the partnership between Walker and Cobden-Sanderson became unworkable. Cobden-Sanderson was a perfectionist and egotistical, and he lacked the ability to co-operate. When Morris had been alive, Cobden-Sanderson had chided him that he did not live by the principles of socialism he espoused, and this caused resentment among Morris’s friends, particularly Emery Walker and Sydney Cockerell, another bookbinder, both of whom practically worshipped Morris. Cobden-Sanderson insisted on everything being done his way, down to the smallest detail, though he was always careful to give due credit at the end of each book to everyone who was involved (nowadays information about the printing and publication of the book is given at the beginning a book). This was in accordance with Rule Four of the Arts & Crafts Society of which Cobden-Sanderson had been Secretary until 1901. Walker on the other hand didn’t want to do, or wasn’t able to do, any of the hands-on work of the Press on account of his business commitments elsewhere and his involvement in numerous arts societies, and he made only brief appearances to check on the Press. Cobden-Sanderson became increasingly irritated at having to put Walker’s name in the book. Eventually the partnership was dissolved in 1908 and Walker’s name was deleted as a partner of Doves Press. Cobden-Sanderson had previously promised that if the partnership ceased Walker would receive a fount of type ‘for his own use’, but he tried to get out of this promise. Walker retaliated, issuing a writ insisting that the Press shut down completely and that he receive 50% of remaining assets, although the Press’s only real asset was the Doves Type. In 1909 they drew up an agreement about the type, brokered by an exasperated Sydney Cockerell. Ownership would go to whoever outlived the other (Walker was ten years younger) but Cobden-Sanderson was still worried that the type could be sold by Walker and used on a mechanised press. In 1912, Cobden-Sanderson exhibited ten books under his name and the names of the Doves Press compositor and pressmen. At the next exhibition in 1916, Walker retaliated by exhibiting several books from Doves Press under his name alone. Cobden-Sanderson was so incensed by this – a clear breach of Rule Four – that he never exhibited anything again. The north end of Hammersmith Bridge at low tide. The point where Cobden-Sanderson threw the type into the river is somewhere on this side of the bridge. 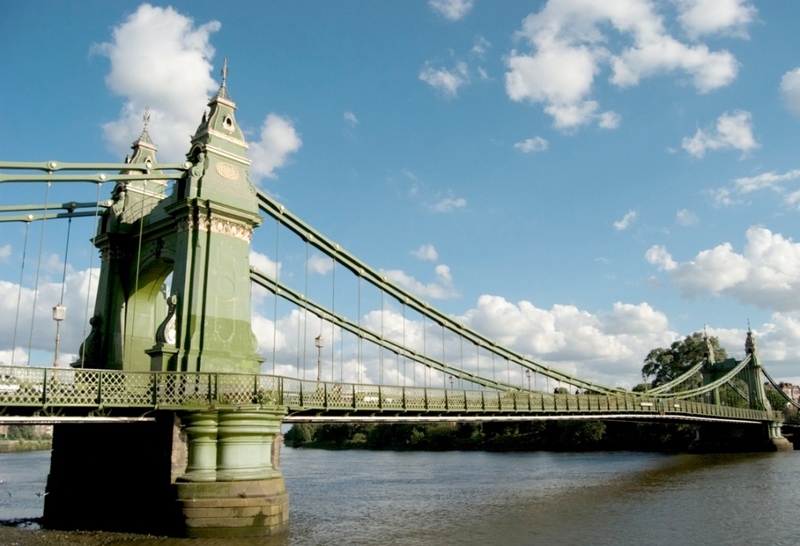 The suspension bridge was designed by Sir Joseph Bazalgette and it opened in 1887. Cobden-Sanderson died unrepentant in 1922. His widow Anne was then sued by Walker for the cost of producing the type (£500) and for a portion of the money it might still have earned. The case was settled out of court with Anne paying £700. Only one specimen of the type remained, a block created for a Christmas greeting in 1900 which remained with Walker. Cobden-Sanderson knowingly sacrificed his reputation for the sake of the Press. He chose to destroy his beautiful Doves type rather than allow it to be used to print what he feared would be volumes of sham Doves Press books. Robert Green, who designed an electronic facsimile of the Doves Type in 2013 and who went on to find some of the type thrown off Hammersmith Bridge by Cobden-Sanderson. Eventually Mr Green decided that he would try to find some of the original metal type. Using the sources available, including Cobden-Sanderson’s published journals, Mr Green worked out within a five metre radius where he thought Cobden-Sanderson would have stood on the bridge when throwing the type into the Thames. Although metal type is an alloy that consists predominantly of lead, a heavy metal, plus the metal antimony to give it hardness, and a smaller amount of tin, a lighter metal, which is stiffer and tougher than lead, individual pieces of type are usually thin and don’t weigh that much, certainly not much more than a large pebble. So when Cobden-Sanderson threw the type into the river, the pieces of type would have scattered and would over time be moved by the tides and currents of the river at least until they firmly settled down into the mud on at the bottom of the river. Some of the 150 pieces of Doves Type recovered by Robert Green and professional divers from the foreshore of the River Thames below Hammersmith Bridge. In early 2015, having obtained a mudlarkers licence from the Port of London Authority, Robert Green searched the foreshore of the Thames at low tide underneath the bridge and within 20 minutes he found three pieces of the type. However due to the dangerous nature of the Thames currents, a team of professional divers then spent two days looking for more type and a total of 150 pieces were recovered. Concrete which had been used to repair the bridge was believed to be covering the remainder of the type. Mr Green has decided to donate half of the type he had found to the Emery Walker Trust on permanent loan, and it will be on display at Walker’s house at 9 Hammersmith Terrace, which is preserved as it was in his lifetime (the house is temporarily closed to visitors for renovation and will re-open in early 2017). Mr Green says he is keeping the rest of the type but has no plans to sell it. ‘It’s too precious, I’m too attached to it now. I’ve retraced Cobden-Sanderson’s steps and stood on that very same spot on the bridge’. 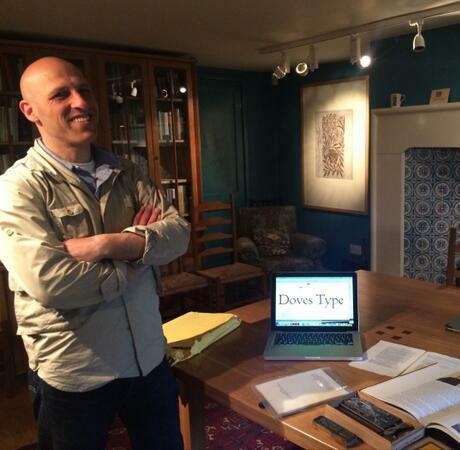 The colourful history of the Doves Press can be read in The Doves Press by Marianne Tidcombe published by Oak Knoll Press, and there is a fuller account here of Robert Green’s recovery of the remains of the Doves Type. Fonts are taken so much for granted these days and it is very welcome to be reminded of their history. It still seems unbelievable that to produce a printed manuscript – whether a book or a pamphlet – took so much effort and the skills of a craftsman to design and make the metal fonts used. Words were precious and without any doubt Twitter would have struggled to survive.